Product developers often want to ensure that the “baby” they have lovingly produced for the world is as complete as it can possibly be. They want the design to be right, the features to be perfect and the testing to be so thorough that no-one will find fault at launch. The trouble with this approach is that it is wholly limiting – and for many businesses can lead to failure. Getting your product out is more important than getting it right. Take Twitter for instance. In order to use it effectively, you have to download other software such as Twhirl or Tweetdeck to provide the functions that you want. If you want to search for things on Twitter, or see what’s the latest “buzz” you need to visit other web sites, such as Twellow or Twitscoop. If you want to use Twitter when you’re away from your desk you need a mobile phone with a particular company, meaning you might need to change provider. It all sounds rather cumbersome doesn’t it? Yet, Twitter is the current “darling” of the Internet. 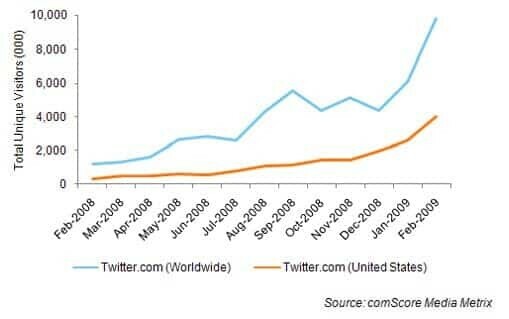 Indeed, analysts at ComScore have said that traffic to Twitter is “exploding”. The traffic is up 700% on a year ago, with most of the growth being in the over-45s age group. So how come so many people are fanatically using a product that is clearly unfinished, has very rough edges and where you need a handful of other services to use it effectively? After all, if your word processor came without a spell checker of its own and you needed to get another application to find and replace words in it you’d give up. You’d be really frustrated too, if your word processor was unable to do some obvious features and you needed to use another application or a web service in order to get it done. Yet, we’re seemingly deleriously happy to accept such issues for Twitter. Twitter is a brilliant example of success from an unfinished product. Yet, there are plenty of examples in business of brilliant products that had no success – the Sinclair C5 single-person “car” for instance. It was an innovative, finished product, but ultimately useless with no obvious market. In your business you could be wasting time – and potential income – if you spend hours on end polishing your product so that it is completely finished and “ready for the world”. If you do that, just like the C5, the world might not be ready for your product. Instead, delivering products unfinished – like Twitter – can mean huge benefits. Firstly, you get instant feedback that helps product development. Just think of all the brilliant ideas that the Twitter team now has, thanks to millions of people using their baby product. Secondly, with your product on the market you can start to make money that finances future development. Without those venture capitalists being able to see what Twitter does in reality, they could well have withheld investment. A third benefit is that you might be told, in no uncertain terms, that your product is rubbish and has no future. That’s a huge benefit because it can stop you wasting hours on end. Whether your product is an ebook, some software or a web service, the sooner you get it “out there” the better. Only if your product has potential safety or security risks should you ensure you are as near perfect as you can be. For most businesses, though, there is far too long a gap between idea and income. Indeed, if you watched The Apprentice last night you will have seen a fitness product taken from idea to 10,000 sales within 48 hours. It was hardly a brilliant product, it was unfinished and had no real creative marketing. But John Lewis thought that what they saw was good enough to order 10,000 of them at £14 a throw. Not bad for two days work? It’s another example, that if you have a product that is interesting and different your buyers will forgive you for the rough edges. If your product is a “me-too” item – such as yet another ebook on Internet Marketing – it’s going to have to be perfect with a capital P.